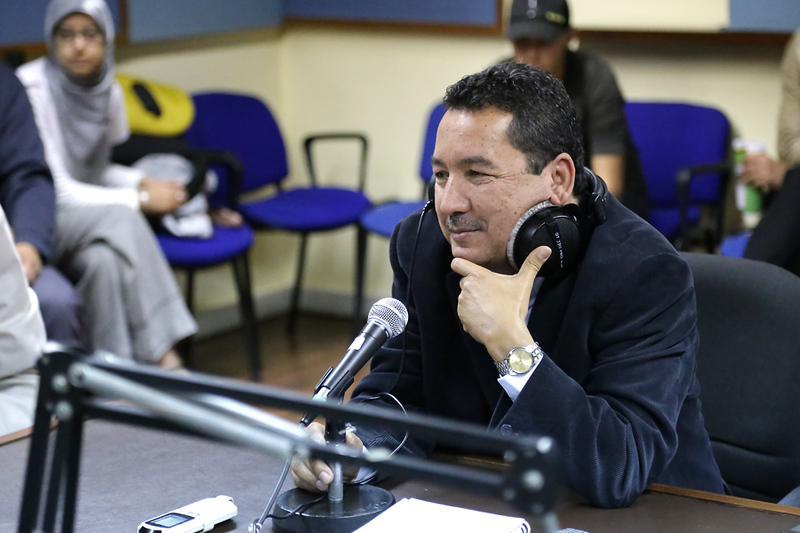 12.5.2014 Chair el Hamra live on air at MFM Atlas radio! WOOOOOHOOOOOO! We made it! 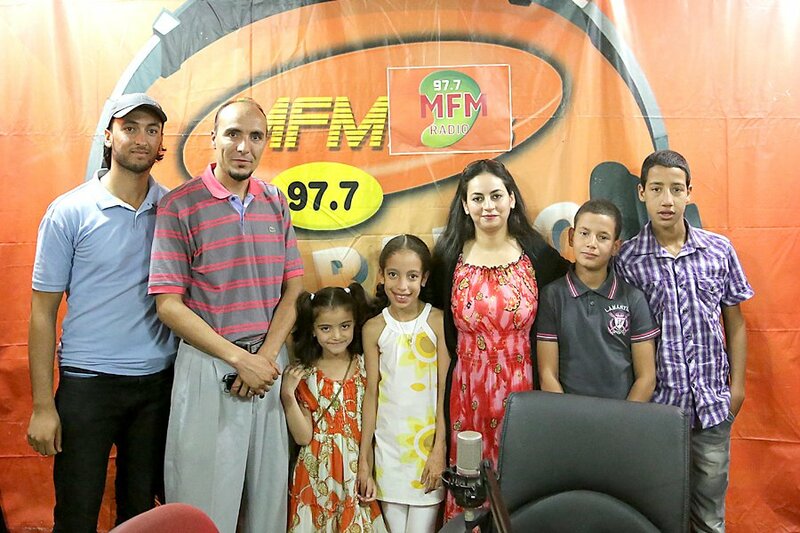 Live on radio MFM Atlas, we shared our Radijojo experience with many many thousand people, young and old, all across our region! What a fantastic media adventure! 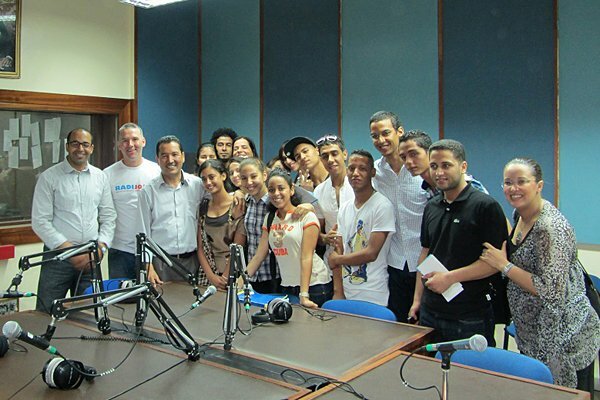 Many thanks to everybody who helped us to make this happen: our teachers and school managers, the Radijojo crew – and of course the team of MFM Atlas! Yeah yeah yeah! Shoukran, merci, thankyou, dankeschoen! 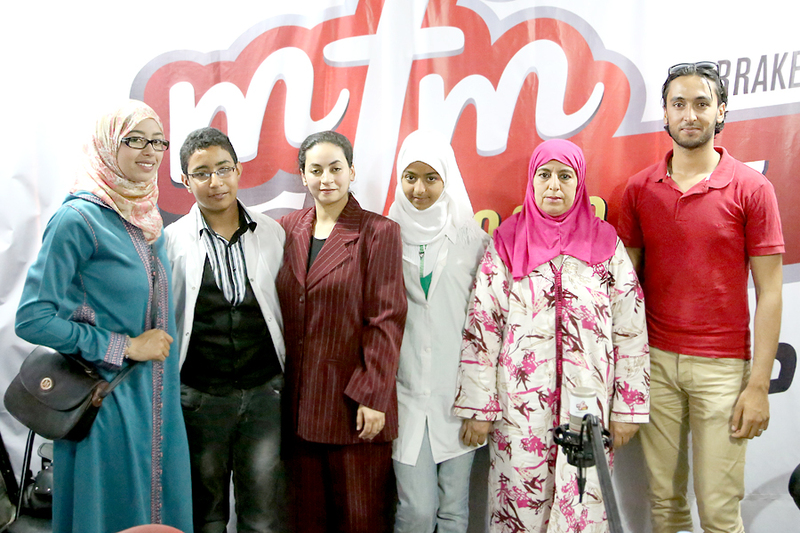 Radio MFM Atlas joins us at Chair El Hamra Middle School in Marrakech! 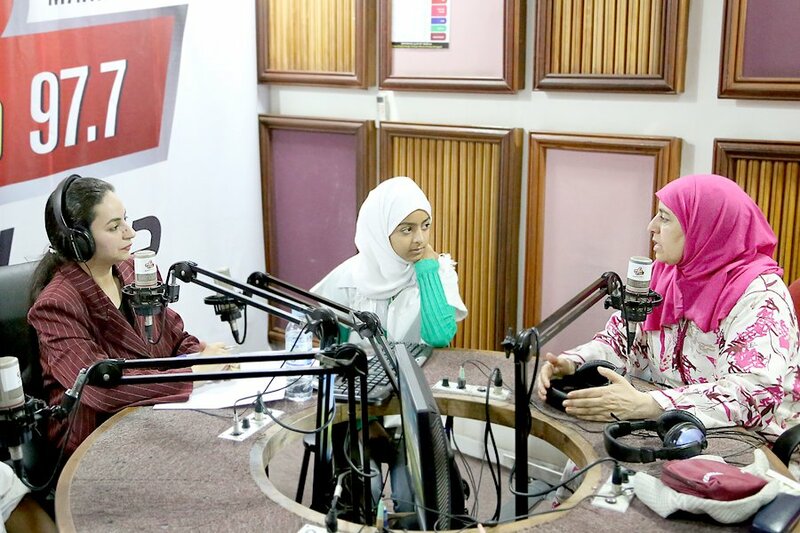 Radijojo’s junior producers Conni and Fatima are live on air at Radio Blau in Germany, presenting our project to the German audience! 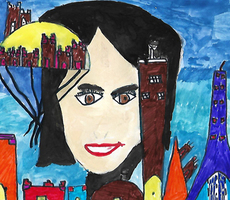 For more, please see blogpost! 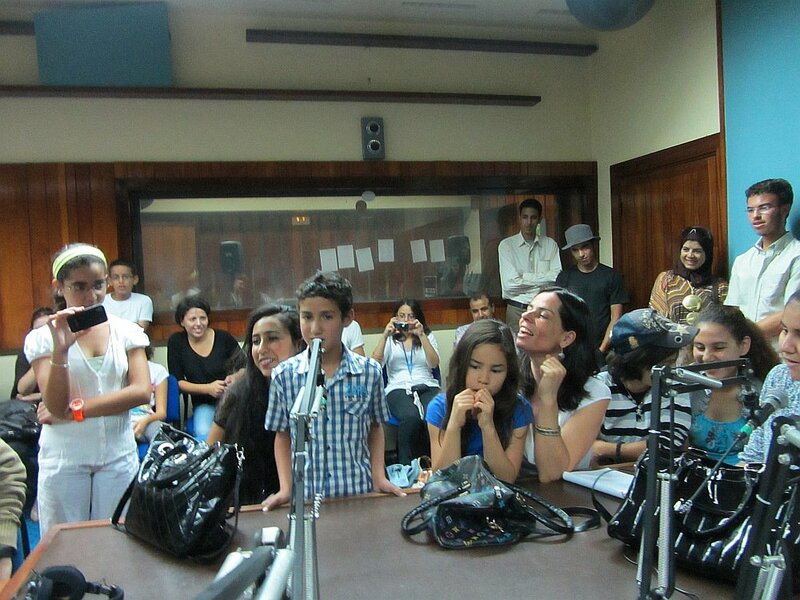 The kids of Ait Ourir present their workshop results live at MFM Atlas with Naima TEBBAA. Many thanks! 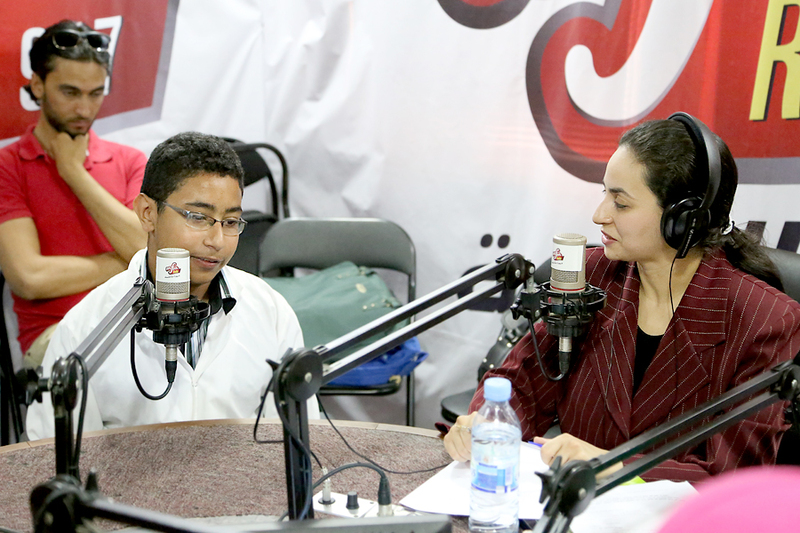 YACD and Radijojo present the project “Nous sommes le futur du Maroc” live at Radio MFM Atlas in Marrakech. 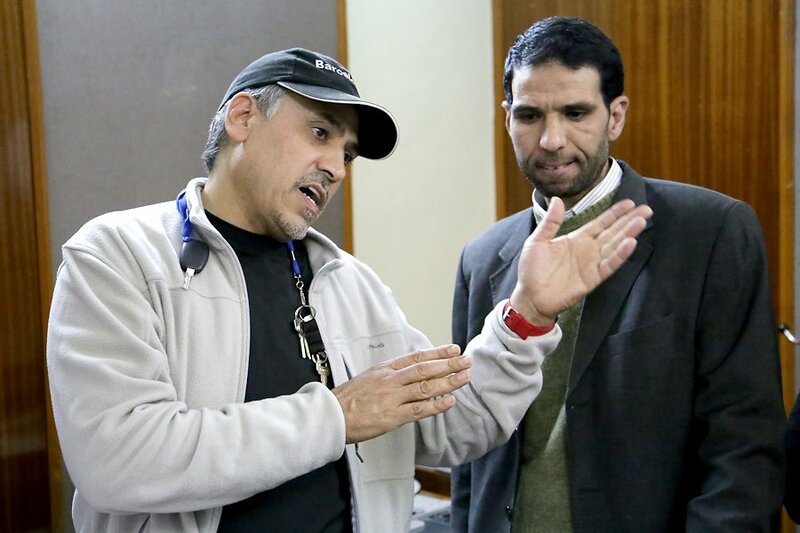 من ورشة عمل عن التربية من أجل السلام بمراكش وصولاً إلى جائزة الشباب العالمية في مونتريال، هذا جزء من قصص النجاح التي تحققت في إطار مشروع الأطفال والشباب “نحن مستقبل المغرب” الخاص بشبكة الإعلام العالمية للأطفال والشباب “Radijojo” التي تدعمها وزارة الخارجية الألمانية. 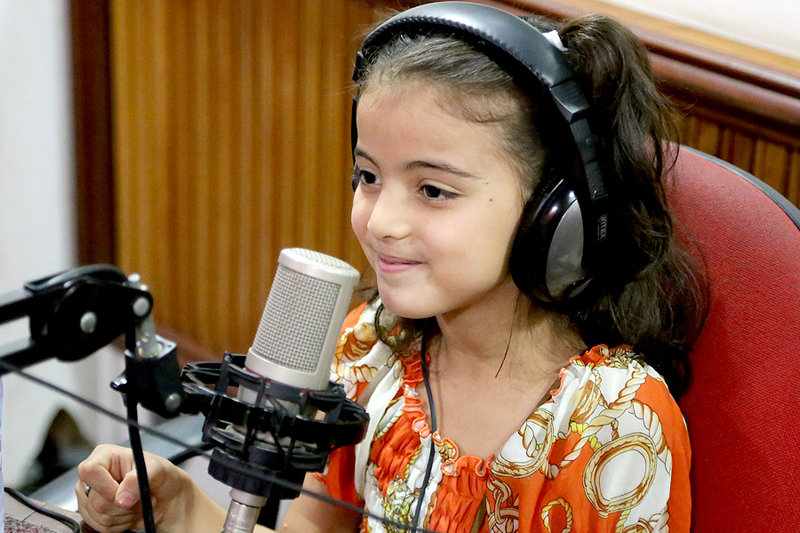 جاء الصباح وبدا صباح طبيعي بالنسبة لإشراق وندا من مدرسة خير الحمرا بمراكش، ولكن ذلك الصباح لم يعد كغيره، حيث أن الصورة التي تعكف على تصميمها الفتاتان في ذلك الصباح ستكون بعد أيام قليلة متداولة في العالم بأسره، فهي الصورة الفائزة في مسابقة المنتدى العالمي للأمم المتحدة “تحالف الحضارات”، وهو مبادرة أطلقتها الأمم المتحدة. 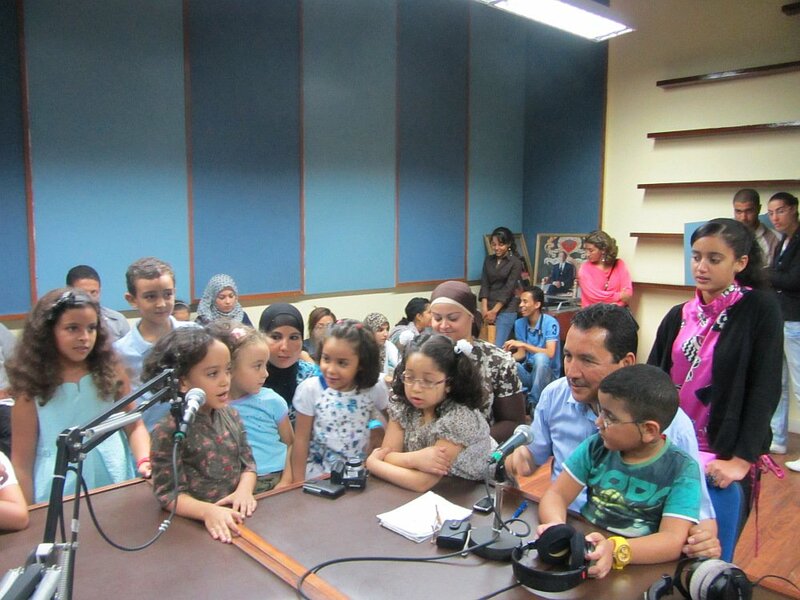 تحمل الصورة عنوان “المشاركة في السلطة الإعلامية”، وهي تعرض فتاتين في المغرب تنشغلان بالتقنية الرقمية المسموعة. 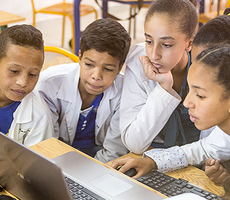 وجاءت هذه الصورة في إطار مشروع “نحن مستقبل المغرب” والذي تباشره شبكة الإعلام العالمية للأطفال والشباب “Radijojo” في برلين. يقوم كل من وزارة الخارجية الألمانية ومعهد العلاقات الخارجية “إيفا” بدعم المشروع في إطار الشراكات من أجل التحول مع العالم العربي. ويتعلم الأطفال والشباب من خلال هذا المشروع كيف يعملون بسلام من أجل مصالحهم وكيف يقدمون قدراتهم ويطورون أفكاراً مستقبلية ملموسة؛ فهم يتعلمون كيف يتصرفون على المستوى المحلي وكيف يفكرون على المستوى العالمي، فهم يكونون بذلك جزءاً من شبكة عمل دولية معنية بالسلام والتبادل الثقافي والتعليم. 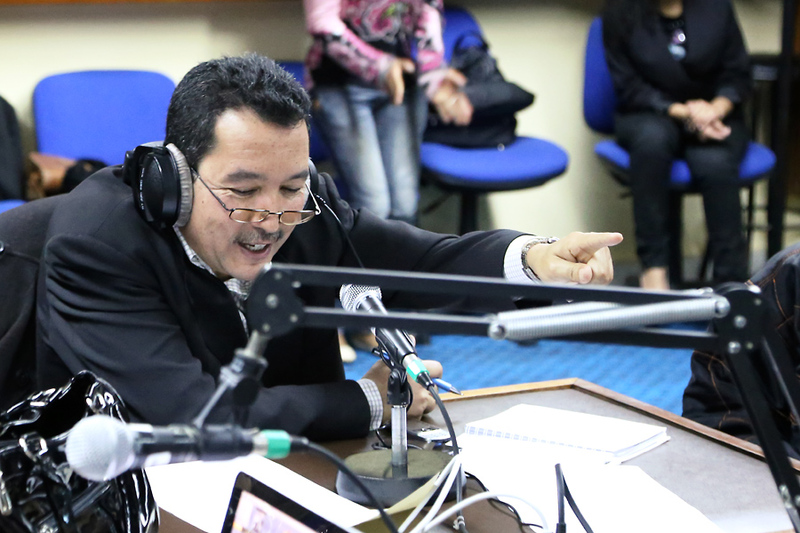 حصلت المغربية فاطمة بولهدود على جائزة منتدى الشباب العالمي؛ فاطمة هي طالبة شابة من قرية صغيرة في جنوب البلاد شاركت في أول ورشة عمل لشبكة الإعلام العالمية للأطفال والشباب Radijojo في مراكش. وقد حصلت على هذه الجائزة نظير إسهامها في أهداف الألفية للأمم المتحدة. وهي الآن بمثابة مثل أعلى بالنسبة للمجتمعات المحلية في المغرب ومصدراً لإلهام الشابات في مراكش لكي يسهمن بشكل إيجابي مثلها. 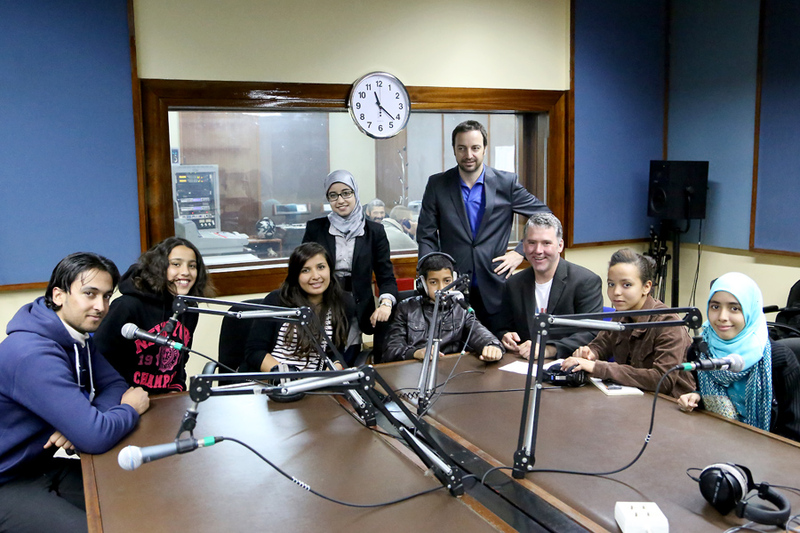 We pupils of the Chair El Hamra Middle School shared our workshop results in the kids’ morning show on National Radio of Morocco (S.N.R.T.) with Hassan Benmansour. 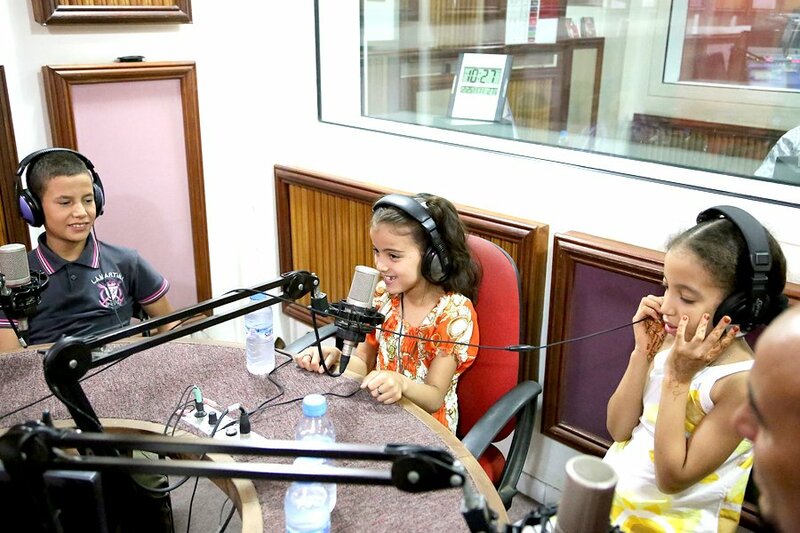 We shared our workshop results in the kids’ morning show on National Radio of Morocco (S.N.R.T.). 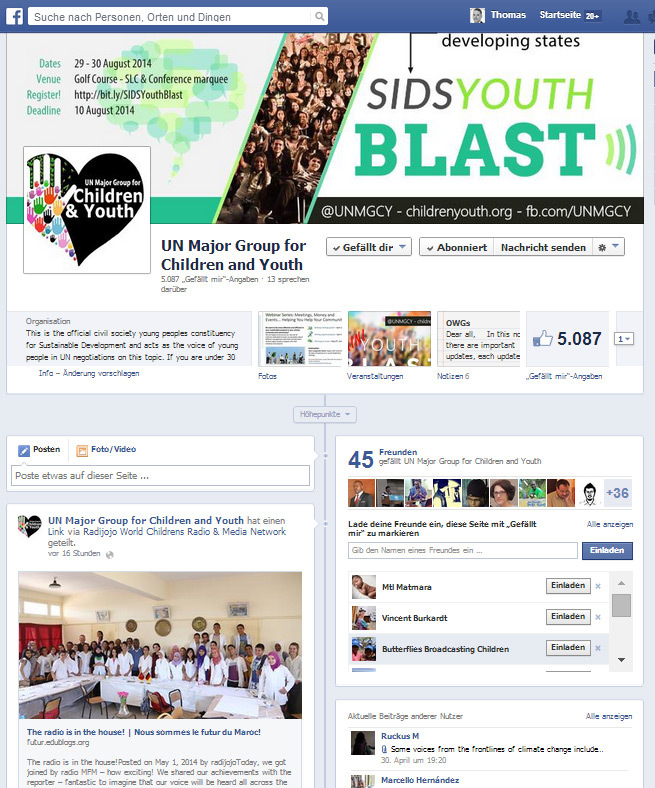 Wonderful open, spontaneous and joyful atmosphere, very nice feedback, many new friends…. 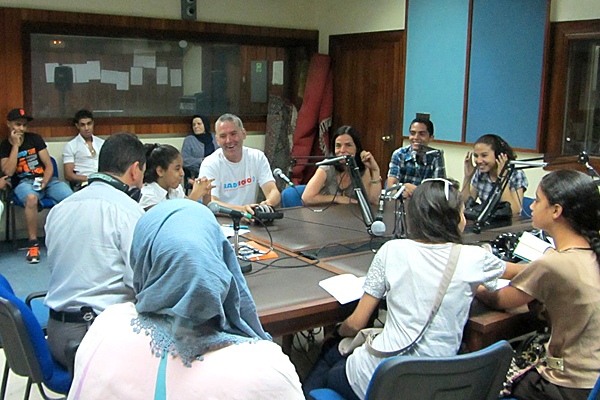 Thanks to Hassan Benmansour who led the show in a warm and inspiring atmosphere, many thanks to all the kids who made this show a great experience, and many many thanks to the incredible Aabouda Houria for bringing us all together this morning! 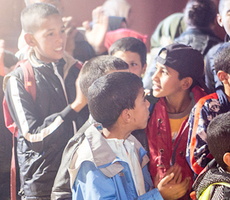 Welcome to Morroco — and welcome to “Nous sommes le future du Maroc”. states of the European Union and the Mediterranean region (EUROMED region). 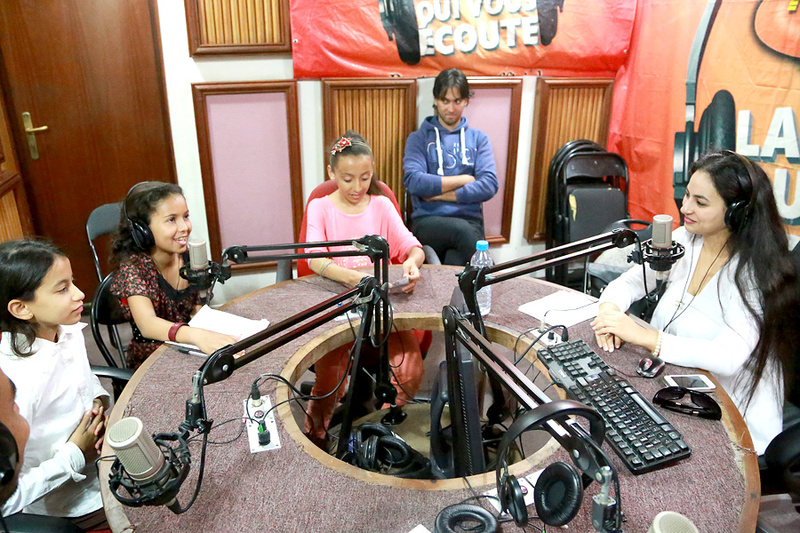 La production des medias dans le cadre de la societe civile pour l’echange culturel, l’education et la paix  c’est ce que des enfants et des jeunes de diverses regions du Maroc vont apprendre dans le programme “Nous sommes le futur du Maroc”. En creant des balados, des blogs, des essais et des videos, ils vont enoncer des idees, des desirs et des propositons pour leur ecole, leur ville et leur pays. 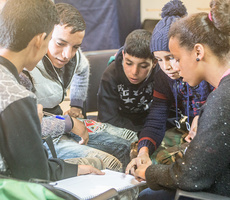 Ils apprendront des techniques de resoudre paisiblement des conflits et feront partie d’excellents reseaux internationaux educatifs de l’UNICEF, de l’UNESCO et de la Fondation Anna Lindh. 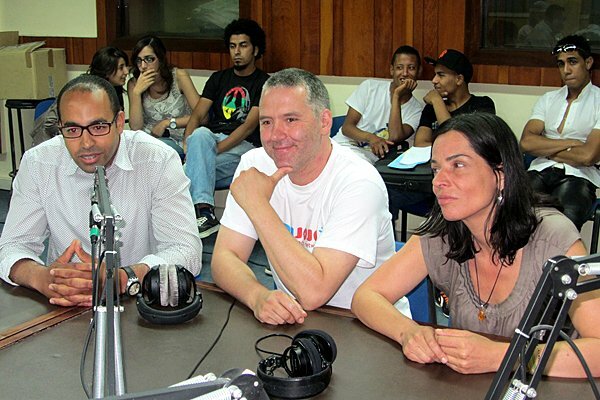 Le programme a deja ete presente par la radiodiffusion publique SNRT au Maroc et par le Global Media Forum en Allemagne. 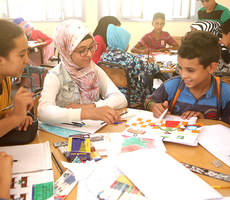 Les ecoles et les institutions pour les enfants et de culture dans tout le Maroc sont invitees de participer a cette initiative pour la paix et le rapprochement des peuples par le biais de leurs propres contributions mediatiques. 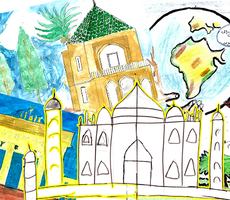 “Nous sommes le futur du Maroc” est un programme de Radijojo World Children’s Media Network de Berlin, qui a remporte plusieurs prix internationaux, en cooperation avec Youth Association for Culture and Development (YACD) du Maroc. Il est subventionne par l’Institut fќr Auslandsbeziehungen (IFA) avec des ressources du ministere allemand des Affaires etrangeres. A version of this article appeared in the print edition of The Daily Star on August 28, 2012, on page 7. 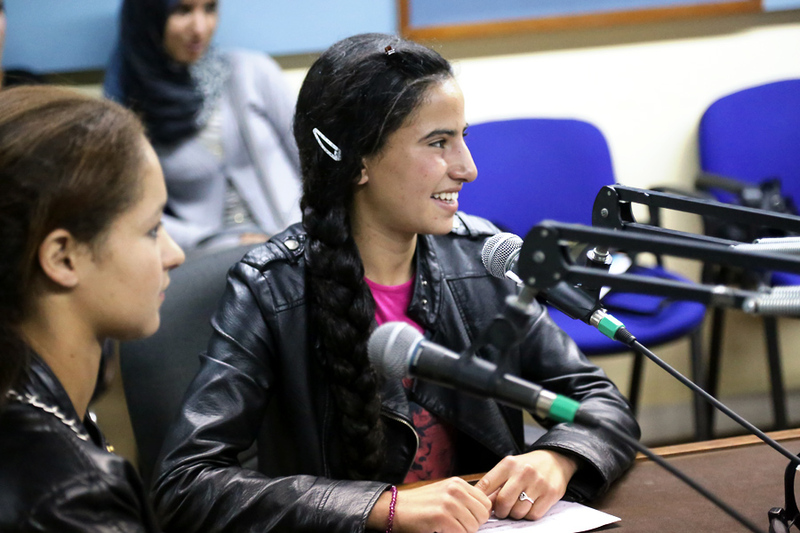 Marrakech, Morocco – ‘Three, two, one, record!’ Melanie, a German student, and Bouchra, a Moroccan student, both in their 20s, are producing their first radio interview as they stand in front of their peers and members of civil society in a Marrakech community centre. 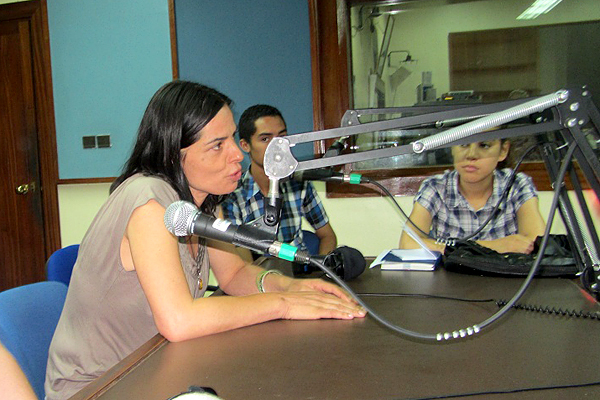 ‘What do you learn in school in Europe?’ Bouchra asks Melanie. 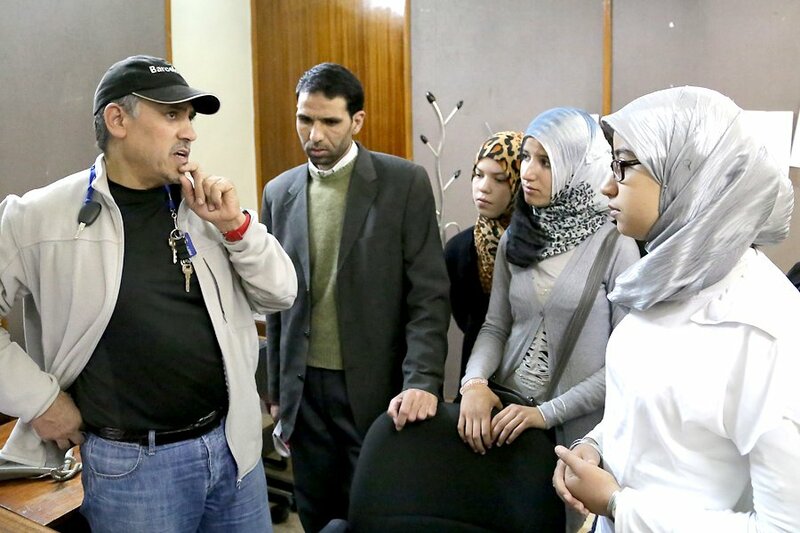 ‘Why are you studying philosophy in Morocco?’ Melanie questions Bouchra. 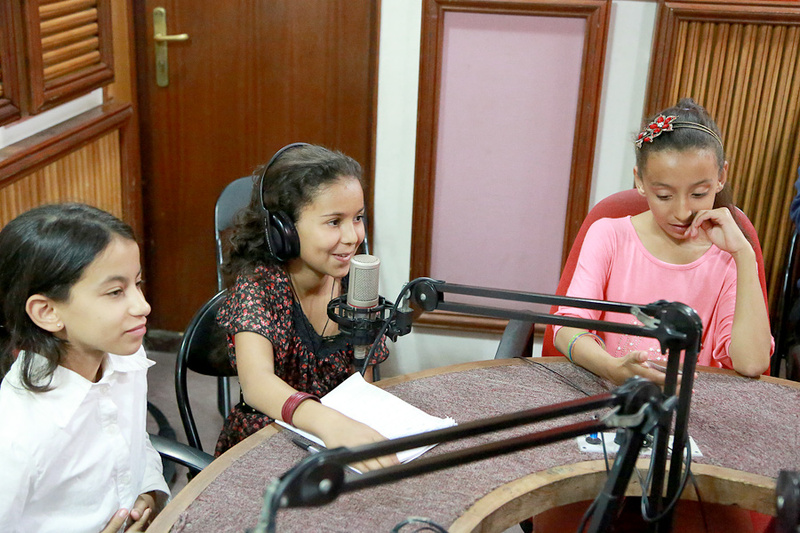 It was an exciting moment for the young reporters, who were pioneering the international youth media project ‘We are the future of Morocco’, organised by the German NGO Radijojo World Children’s Media Network. 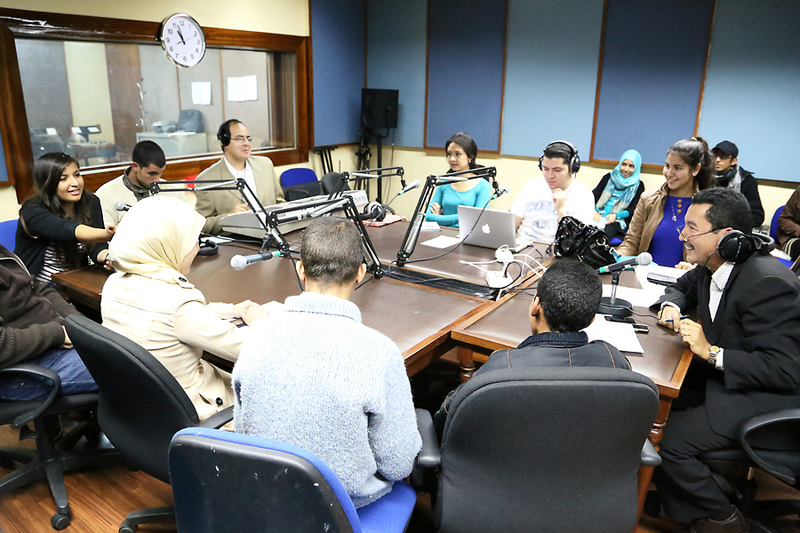 In a world in which misunderstandings between the Arab world and the West abound, and youth voices in both regions often go unheard, Radijojo’s mission is to create media based youth empowerment as a source for free expression, intercultural dialogue and peace. 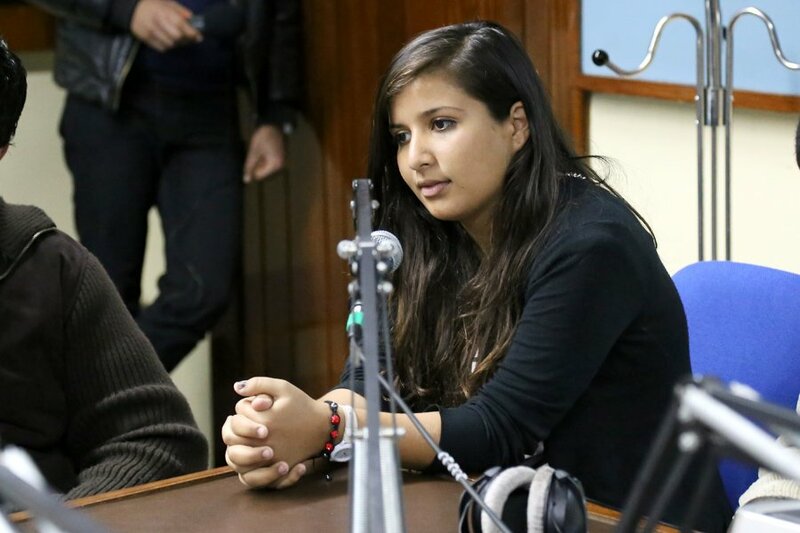 Bouchra was one of 50 university students of diverse backgrounds from across Morocco to participate in the first workshop; Melanie joined the team from Germany as a volunteer working for the Moroccan-based partner Youth Association for Culture and Development (YACD). 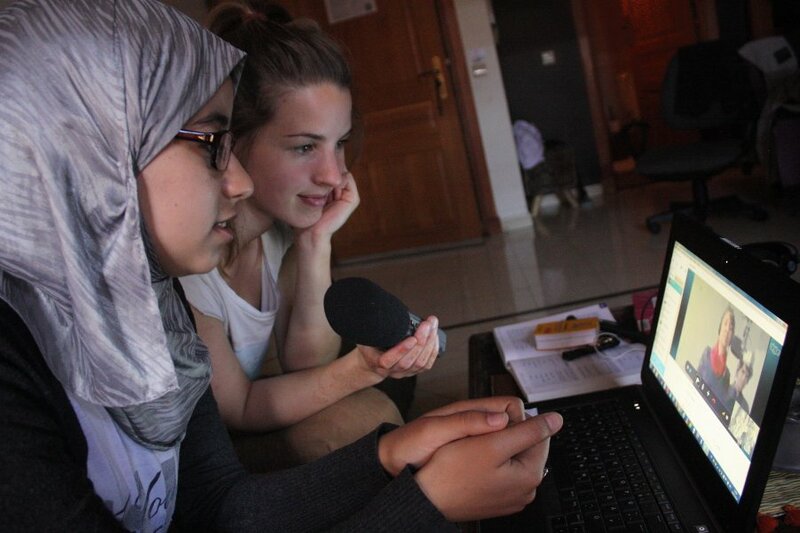 The two girls symbolise the projects longer-term goal: to work for peace by building cultural bridges between the Arab world and Europe through the power of sharing media projects. 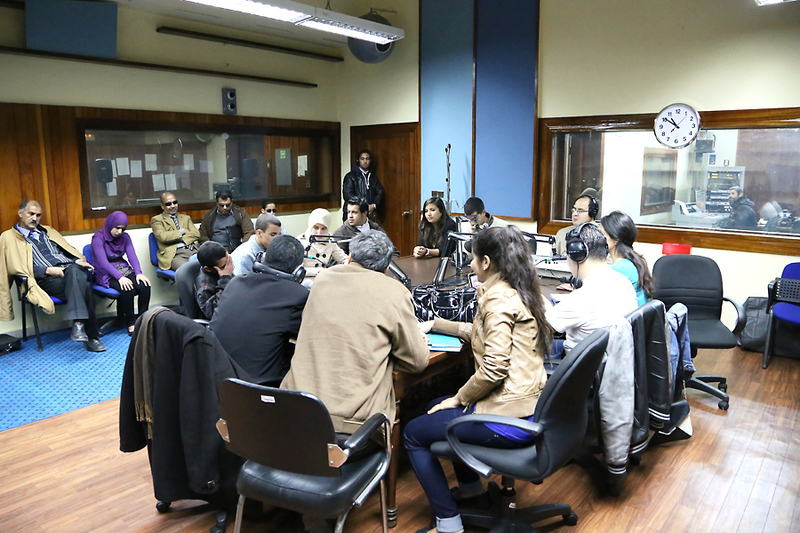 In this workshop, the first of four this year, the young Moroccans learn to use grassroots media to express their opinions, concerns, hopes and ideas. 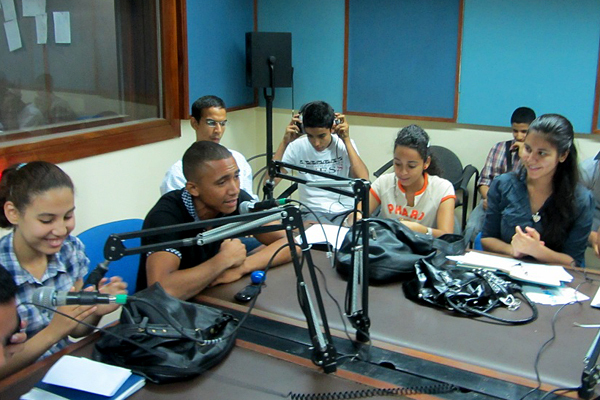 Students are able to discuss the changes they want to see in their country, such as better education and job opportunities. 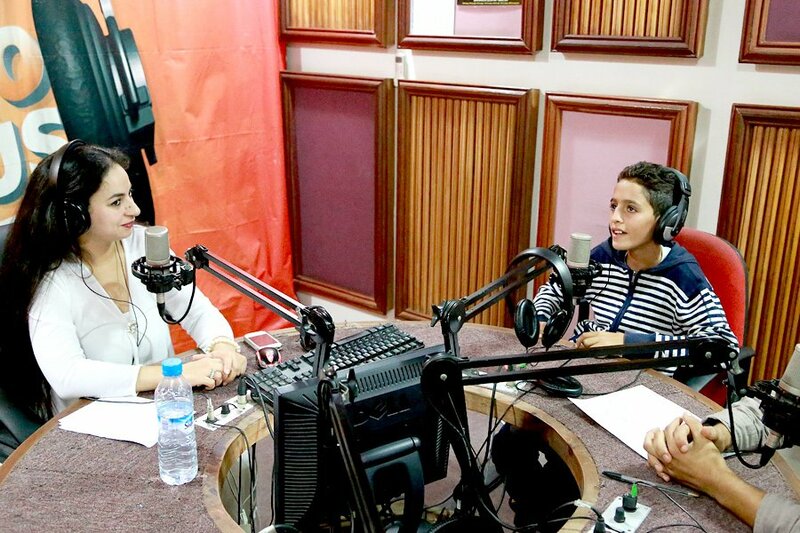 Dounia, for example, a student from the rural Marrakech region of El Kelaa des Sraghna, wants to establish a youth media centre in her village that would allow girls to access educational lessons through radio and new media. In her community, many girls leave school after fourth grade because their families need their help at home. Education does not have as much value for these families as work. 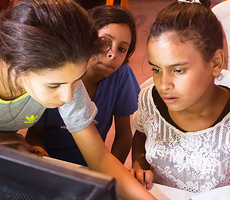 Dounia’s initiative could help girls to learn at home using free online educational resources. 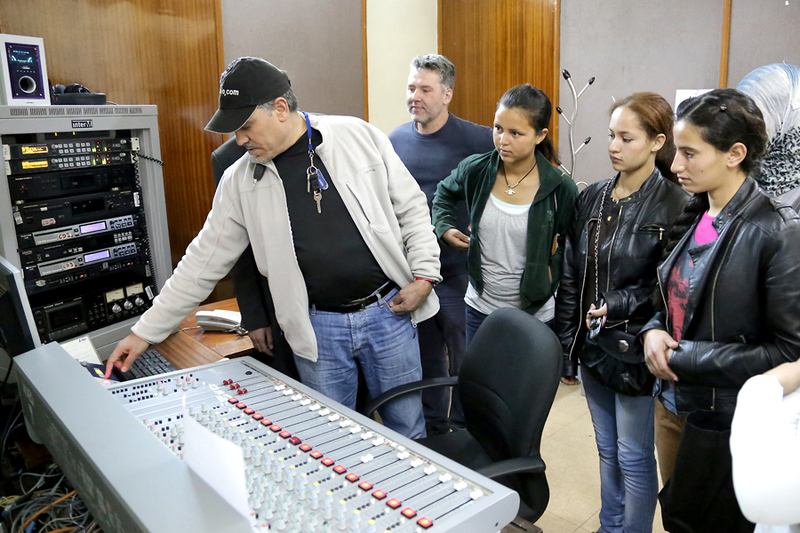 Along with local empowerment, the international approach of the workshops allows them to share their ideas with peers worldwide and to tap into international resources and networks to help turn their vision into reality. 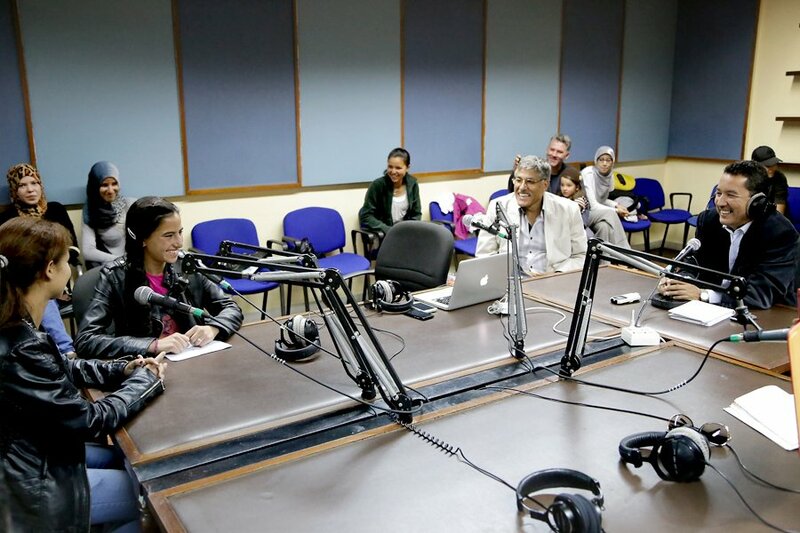 In a second phase of the project, the young media activists reach out and meet with school kids at the Radijojo headquarters in Germany via Skype, exchanging songs, poems and questions about everyday life. 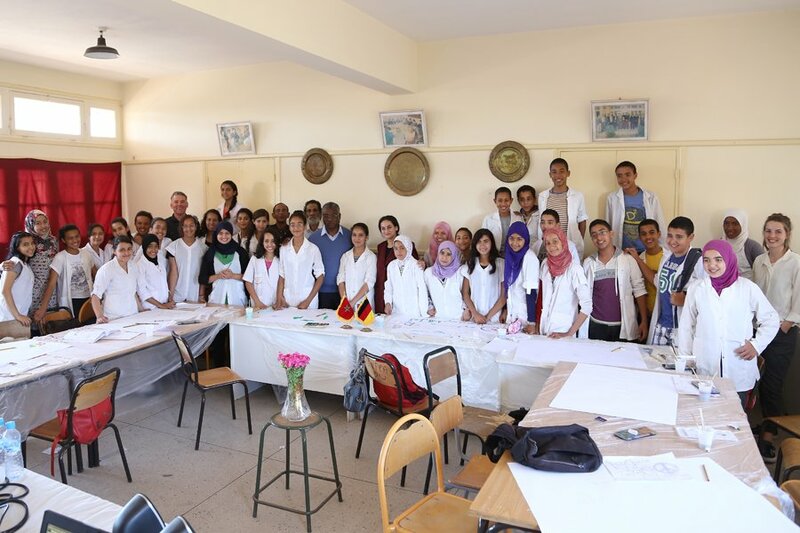 Because most of the Moroccan participants have never been abroad and have had little contact with Western countries, this is an important part of the project. 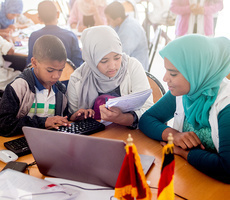 The Marrakech youth media pioneers also present their work, using Skype, at one of the world’s most important media, cultural exchange and education events, the Global Media Forum in Germany. 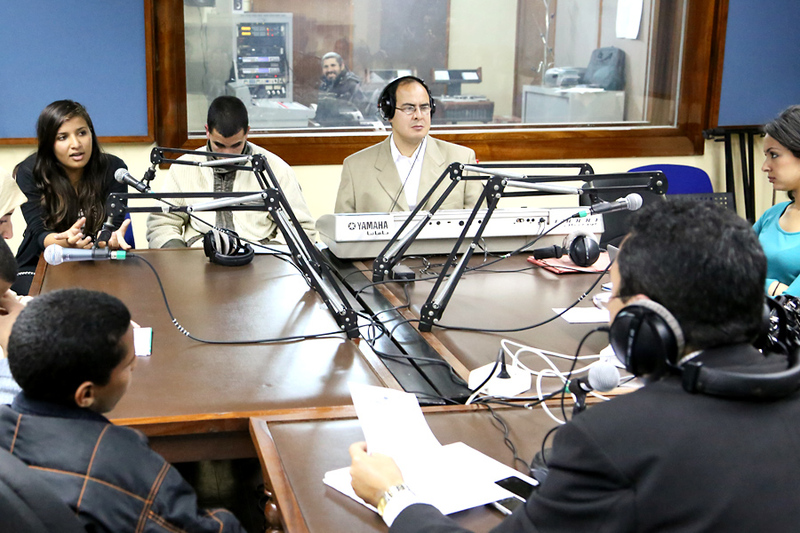 For the students, having their voice heard at such a top-level event is encouraging. 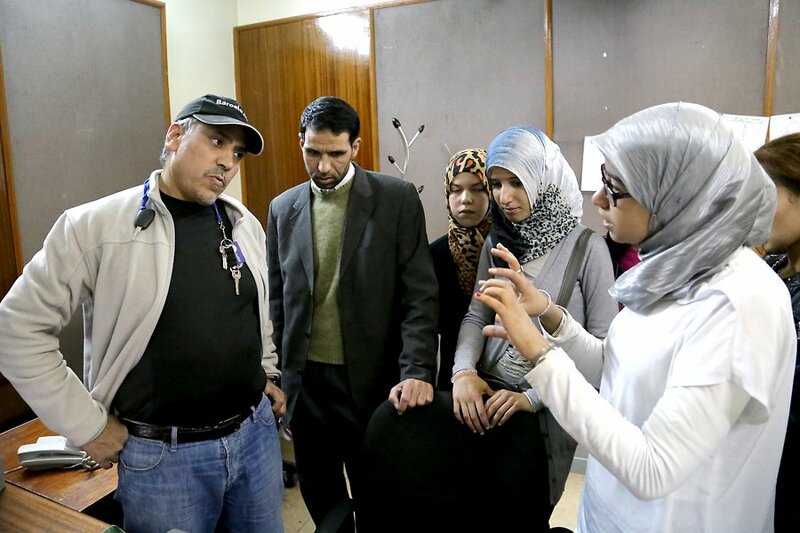 For the experts at the Global Media Forum, it is a chance to directly talk with young people in the Arab world, not just about them. 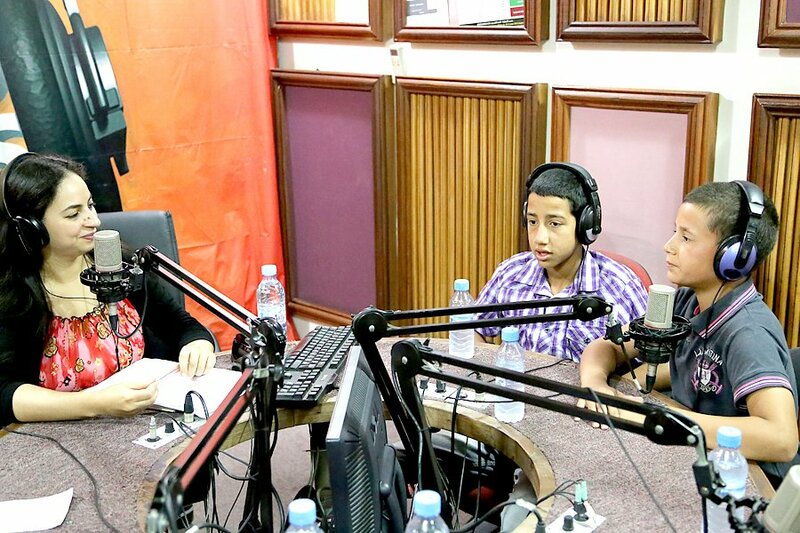 Toward the end of the project, the Moroccan state radio station SNRT (Societe Nationale de Radiodiffusion et de Television) shared the young Moroccans’ messages with thousands of households across Morocco during a live show. This exchange will continue to grow. 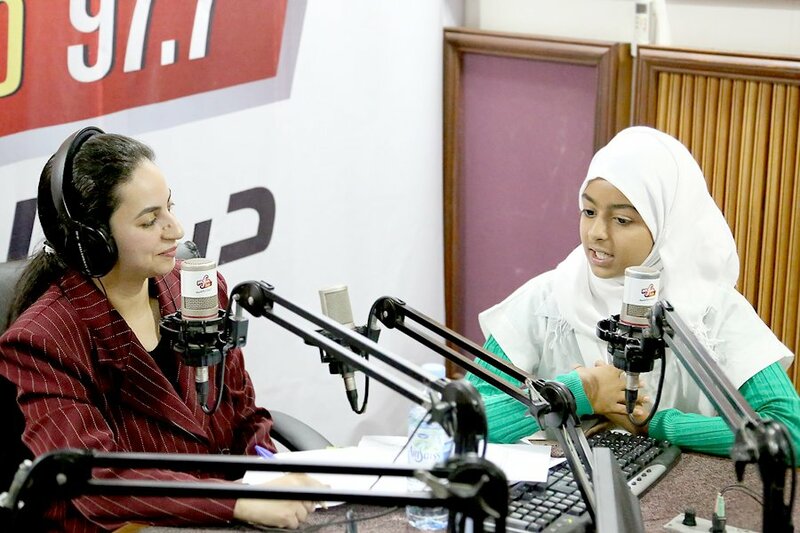 Young activists want to help establish Radijojo Arabiya, a regional chapter of Radijojo’s World Children’s and Youth Media Network. 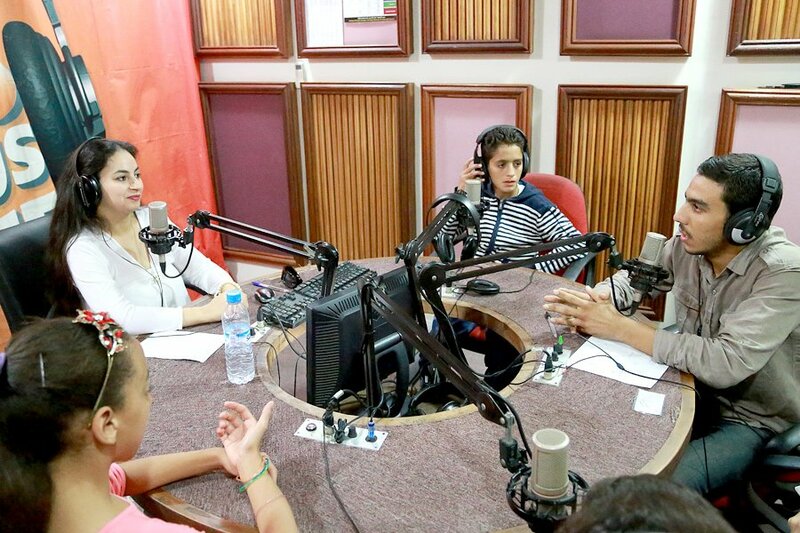 And some of the Marrakech participants will take part in future workshops to share their newly acquired knowledge with young school kids in rural areas, who will also learn to share their ideas via radio. 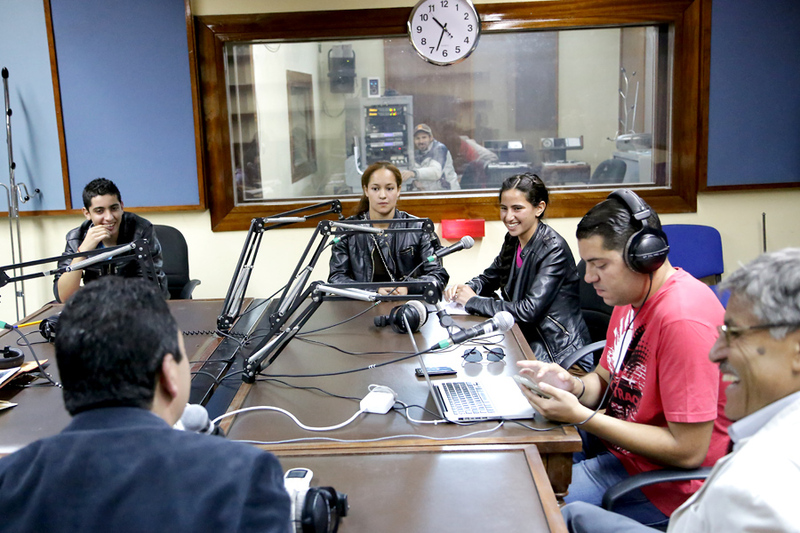 The Radijojo project is just one example of how the media has become a crucial tool in fostering cross-cultural connections, and providing a platform for young voices that might otherwise remain on the margins. 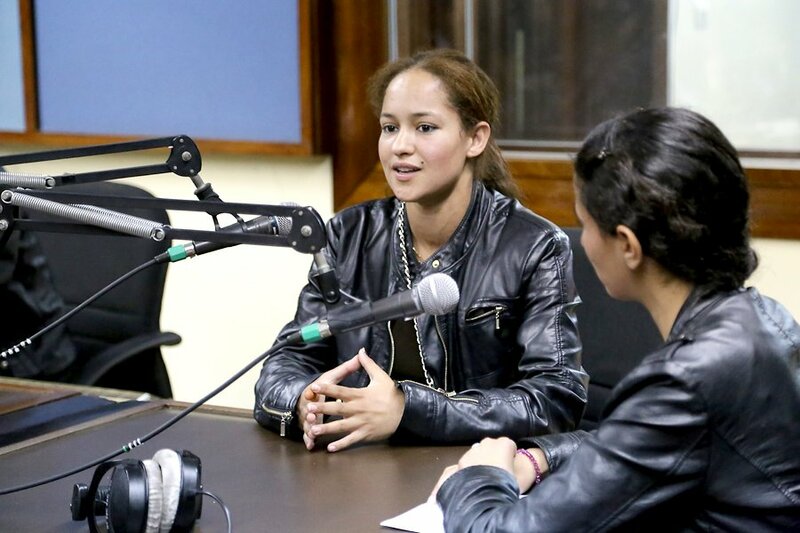 In today’s interconnected world, we need more opportunities to hear young voices like these and to create powerful connections across cultural divides. 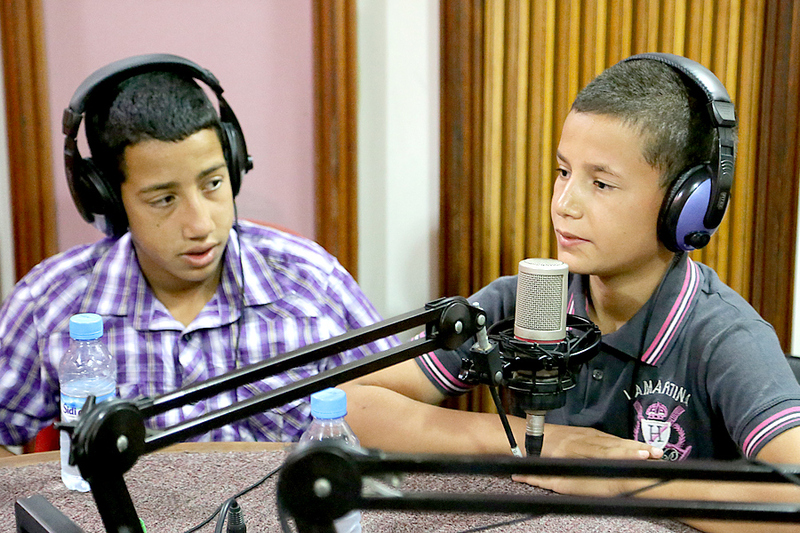 .We shared our results of the workshop Ourika Valley in the kids’ morning show on National Radio of Morocco (S.N.R.T. ).